San Francisco, California. Downtown vector map. City name on a separate layer. Art print template. White streets, railways and water on black. Bigger bridges with outlines. 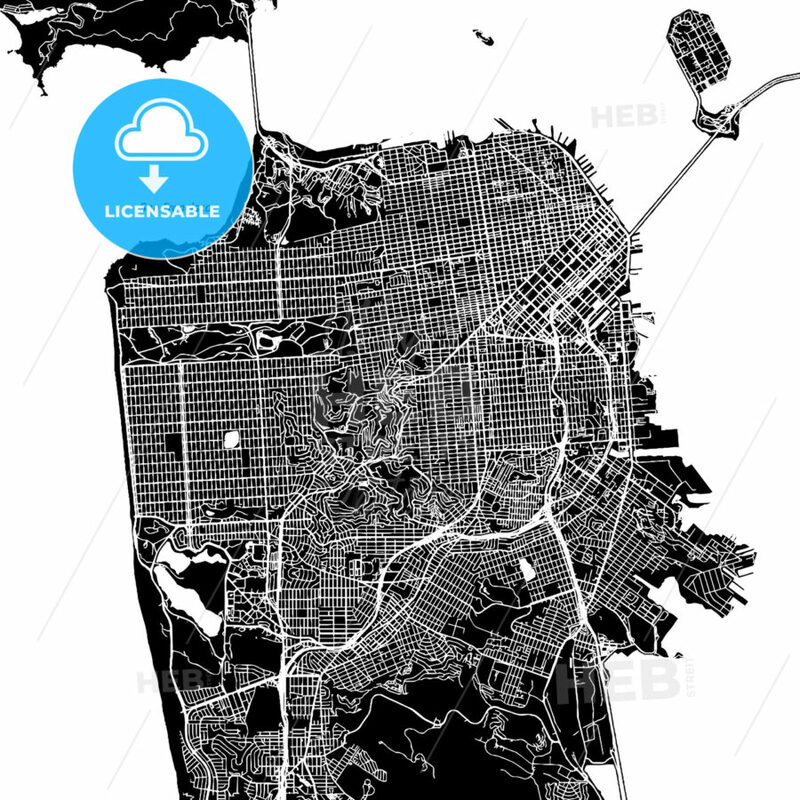 This map will show only basic shapes for landmarks and traffic. No information about borders, symbols or buildings. Useable for backgrounds in any digital or printed medium. Vector version is scalable for any size.